When thinking of the Wild West one tends to imagine hot sunshine, beautiful mountains, majestic wild horses, and dusty old cowboys. While some of those things are true and others have been somewhat tamed; the wild western weather still remains untamed and unpredictable. 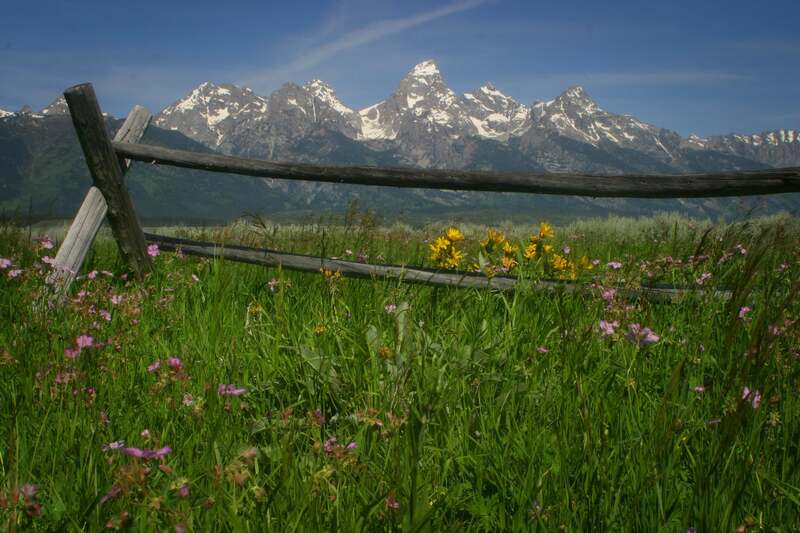 Jackson Hole Wyoming is one of those places that is still a little wild yet filled with wonderful adventure. 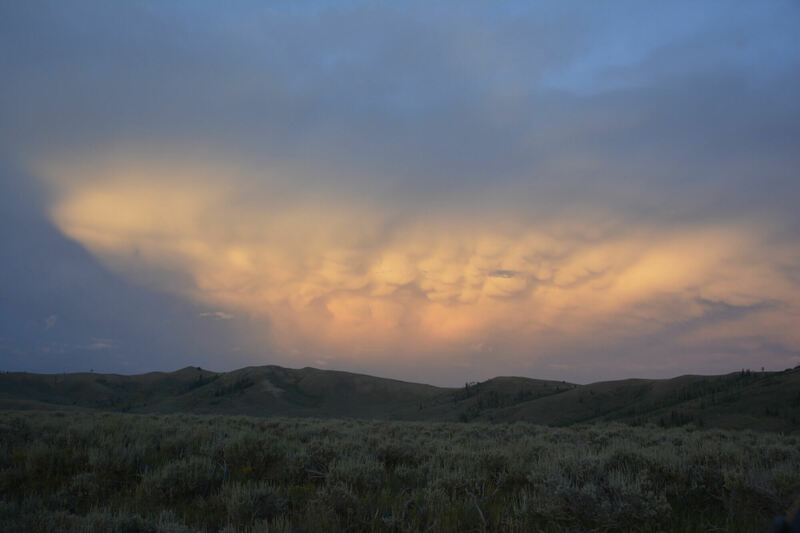 Being in the Greater Yellowstone ecosystem the area is prone to diverse weather patterns. One thing you can count on with the weather in this vast area, is that no matter the season it could always snow on you. Now, don’t let this turn you off and make you start thinking about that sandy beach vacation again…. Just because it could snow in July doesn’t mean that your experience will be any less amazing. Weather in any mountain region can be difficult to understand. Mountains produce their own weather and also make it difficult to see weather moving in; you just never know what to expect when setting off for a fun day hike or family horseback ride. 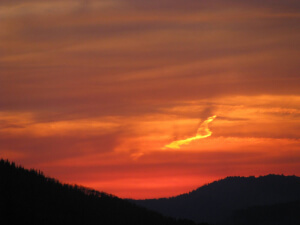 Most of the summer months are filled with warm, arid (dry) days and clear, cool evenings, and if weather moves in it is usually gone as fast as it arrived. Some thunderstorms may only last about 10 minutes, and just because it is storming doesn’t mean the sun won’t still shine. 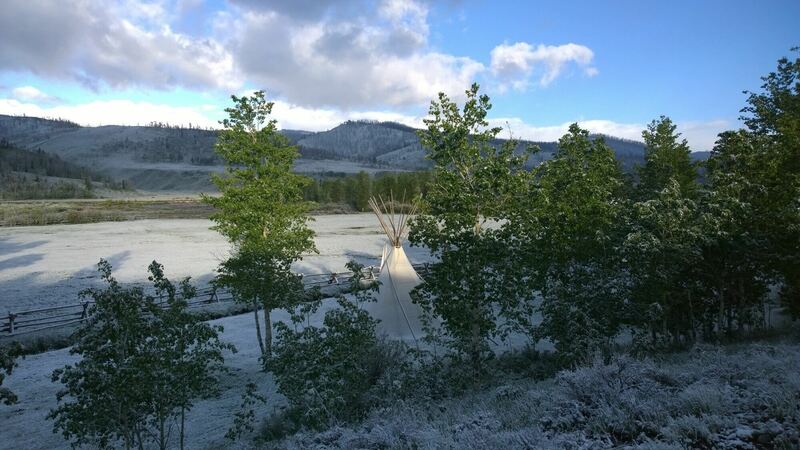 Then after the storm has passed the dust is gone, the air is fresh, the grass is green, and all is right in the Gros Ventre again. This diverse weather pattern can turn the average day into a great story making adventure. Just think about what the real cowboys and mountain men went through year after year, and take the weather in stride. The horseback riding, and many other activities can still be enjoyed even when the weather is less than favorable. A snowy June day can also give you a chance to relax by the fire, catch up with family and friends, and a reason to treat yourself to a soothing massage. So, next time you are planning a vacation to the Jackson Hole area, remember pack a bit of everything, leave for activities prepared for anything, and take the weather in stride, because after the storm comes the most amazing rainbows! Remember our guides and wranglers at Goosewing Ranch are trained to keep you safe, they have gear available for you to help you stay warm and dry, and will do their best to always make the best out of any situation. 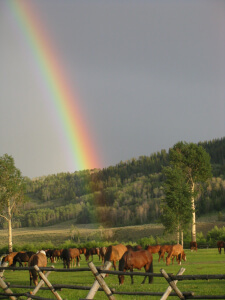 Treat yourself to an All-Inclusive Guest Ranch Vacation…. For many a Dude or Guest Ranch vacation seems like a good way to spend a lot of money for doing work instead of relaxing. This couldn’t be further from the truth. Yes, some Ranches are a bit pricy, but once you take into account that most are All- Inclusive than the sticker shock is greatly reduced. 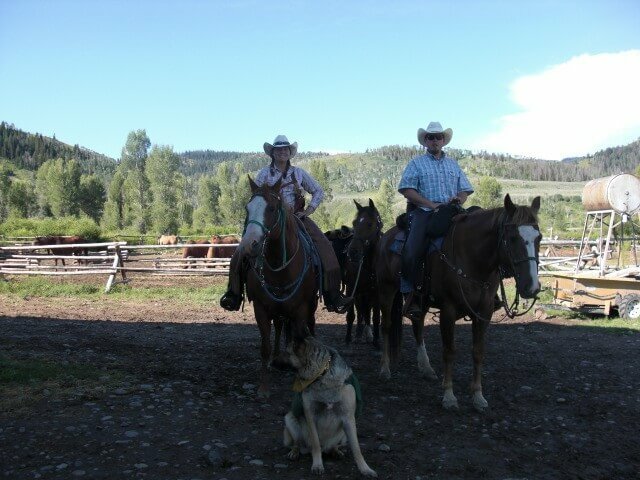 Guest Ranch vacations have been a part of our history and our economical evolution since the 1880’s. 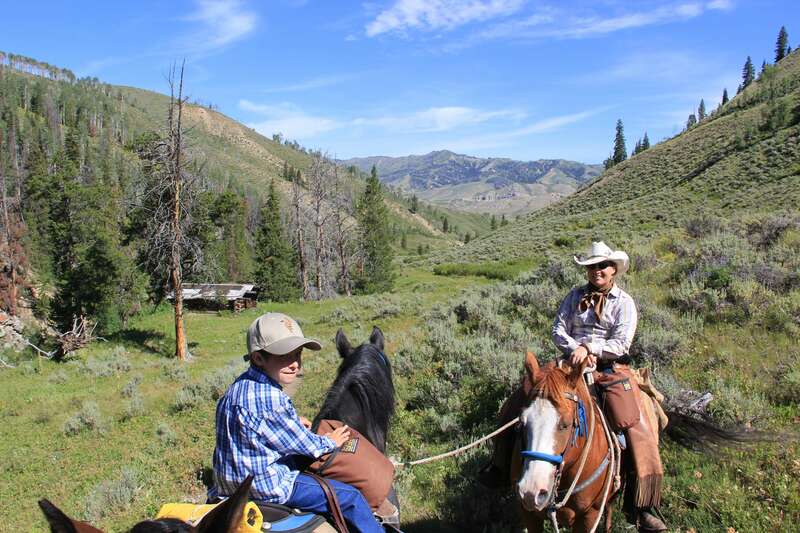 Guest Ranch vacations are a family friendly environment about Hats, Hospitality, Horses and more. Try a new adventure this year and discover the the cowboy in you. 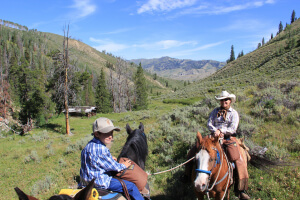 Like many cruises and beach resorts, Guest Ranches are a package deal with something for every traveler, and family member. Why should Mom have to sacrifice doing what she enjoys because Dad wants adventure, and face it the boys don’t always enjoy having to follow their sister around all vacation either. At Goosewing Ranch we have activities and adventures for everyone, from the single explorer to the diverse family reunion. 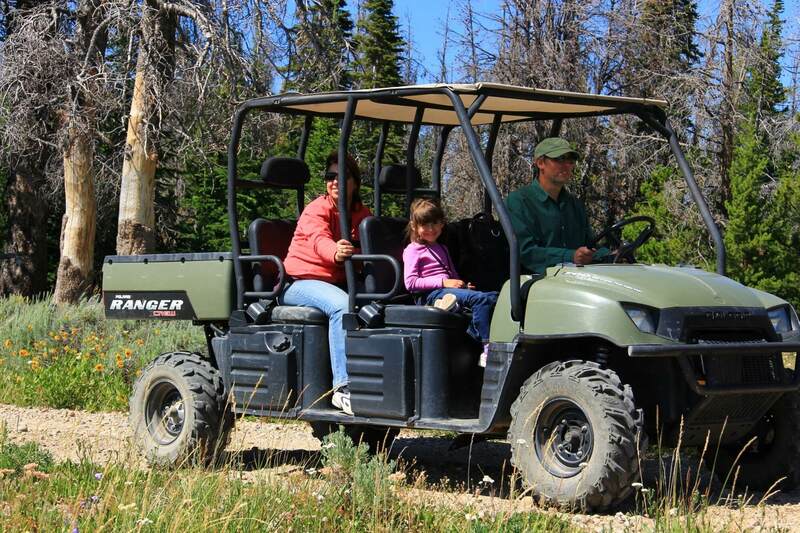 Let Mom enjoy reading a book by the pool or treating herself to a massage (included in a 7 night package), while the boys go fishing or exploring on the Polaris Ranger, and little Suzie goes on a horseback adventure with like minded young ladies. 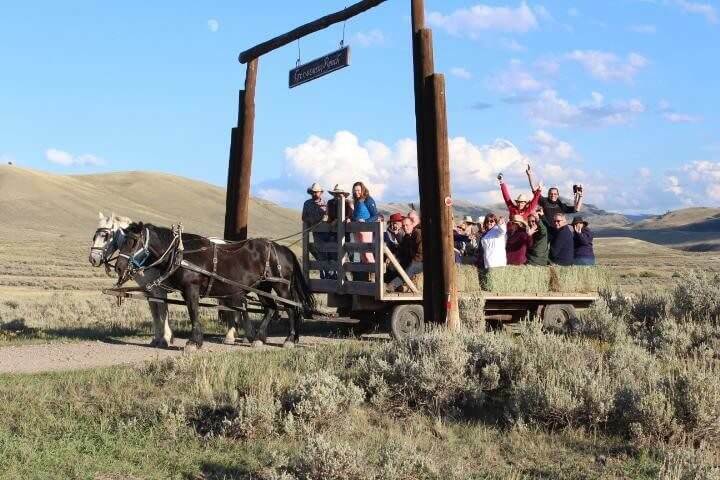 Experiencing the Wild West together is also a great way to reunite a family or bond the vows during a honeymoon. With an all-inclusive package you will receive lodging with modern accommodations and amenities, meals prepared by an expert culinary artist, entertainment and activities. 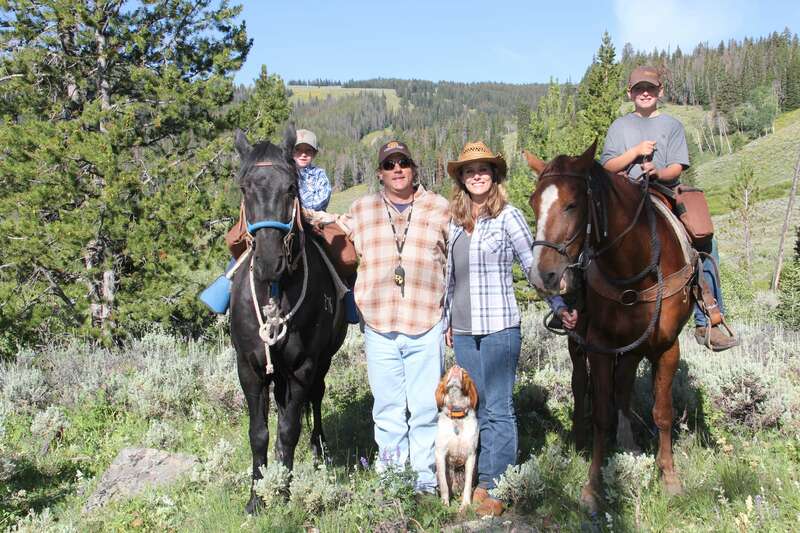 Guest Ranches have all the hospitality and charm that is expected of a Southern B&B, with the activities of a top notch resort, and service of a high end hotel, with scenery and views worth escaping the real world for. Goosewing Ranch in Jackson Hole Wyoming is a member of the Dude Ranchers Association ensuring an authentic ranch experience from start to finish. We have a season fitting for singles, groups of friends, couples, families, or reunions. 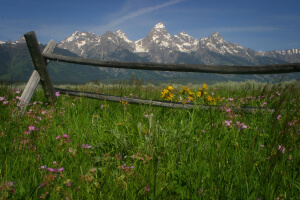 Go ahead make your neighbor jealous and book your Guest Ranch adventure at the base of the Tetons and bordering Yellowstone National Park at Goosewing Ranch, in Jackson Wyoming. 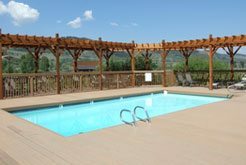 Where you will enjoy everything from horseback riding through the mountains; fly fishing the streams and Gros Ventre River, to target shooting, archery, hiking, and more. Just remember you get more than sand in your shorts with a Guest Ranch vacation, you will go home with lasting memories and experiences that the family will talk about for generations.